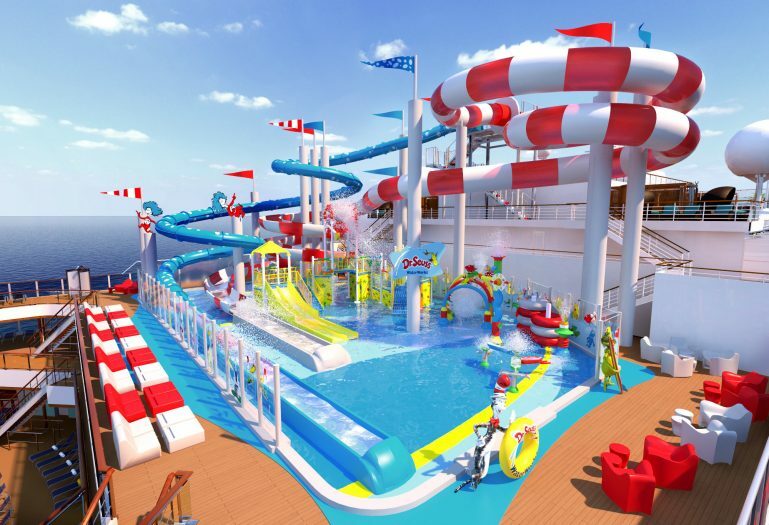 Built atop the deck of the newest Carnival Cruise Line ship, Horizon, the WaterWorks aqua park offers big thrills to every member of the family with its engaging colors and theming inspired by the iconic characters of Dr. Seuss. 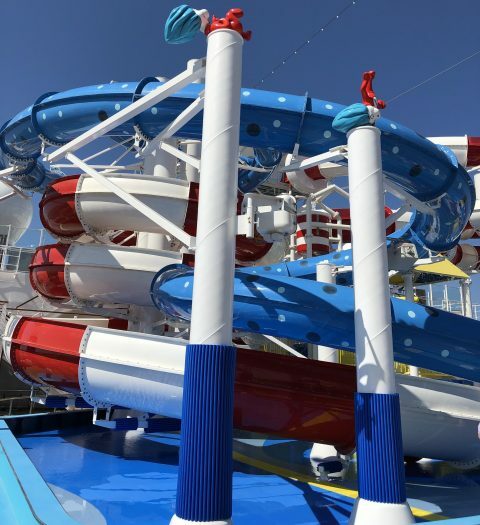 From stairs on the top deck, one raft slide (designed to mirror the red and white striped hat of The Cat in the Hat) and one tube slide (named Fun Things after the zany Thing 1 and Thing 2 characters) send passengers shooting down twisting curves to slide runouts at the bottom. 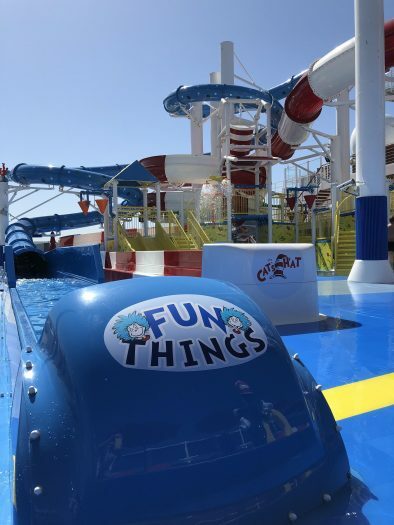 Spraying rings, a double slide, and interactive play elements all feature the motif of One Fish Two Fish Red Fish Blue Fish, while a giant dumping bucket in red and white drenches anyone below.